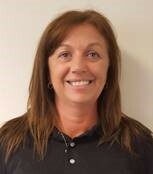 Hi, my name is Jeannie Tippett, I have worked in the Food Service business for over 32 years and counting. I have in places like St. Mary’s Hospital as a Dietary Manager which is located in Leonardtown MD. I enjoy working with the elderly and preparing healthy nutritious meals. I have a daughter whom I enjoy spending my free time with whenever possible. I’m looking forward to being a part of Hidden Springs Senior Living.